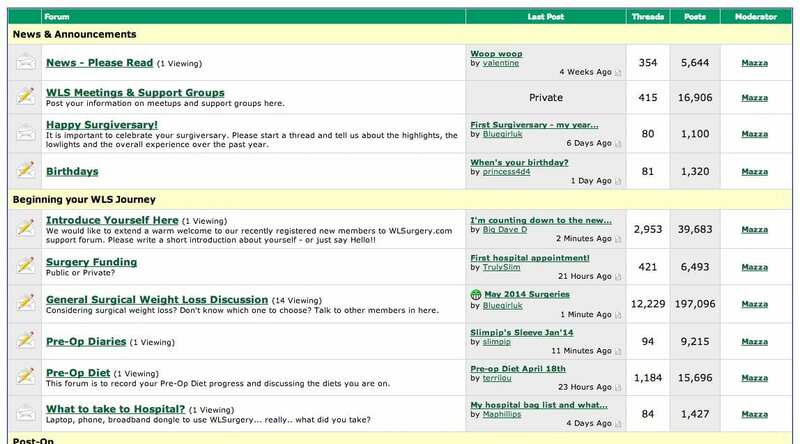 Here are the best weight loss surgery forums to join before OR after bariatric surgery. Whether you are in the pre-op phase or post-op phase, there are great options for support groups that can fit your personality and needs! ThinnerTimesForum.com, or Thinner Times, is an ad-free weight loss surgery forum that has grown to be a quite large and professional forum. 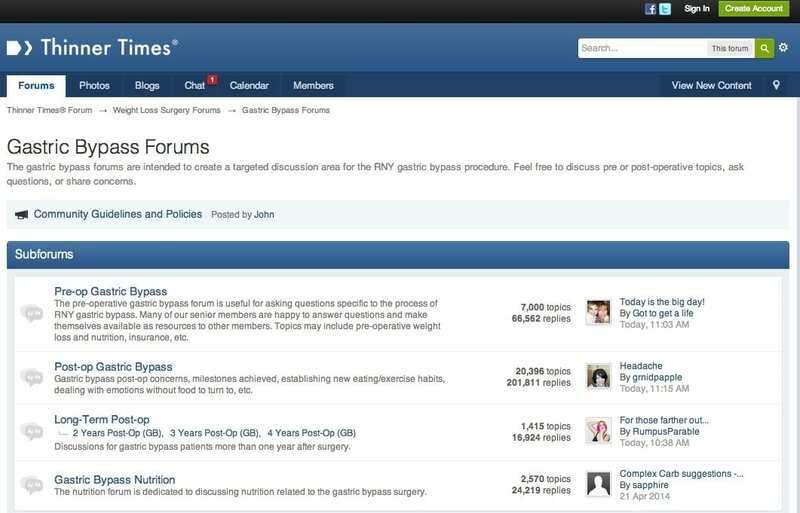 Started as a forum for Dr. Charles Callery bariatric surgery practice, ThinnerTimes.com, Thinner Times Forum has grown to a well-established bariatric forum. The content on ThinnerTimesForum is quite good, there are well-categorized topics that can sure be useful. The forum has been operating for quite some time, but on the newer and upcoming procedures like gastric sleeve, there seems to be a lack of community. Thinner Times Forum really excels in gastric bypass surgery (RNY). Being owned, maintain and presumably run by a practicing weight loss surgeon, Thinner Times Forum operates with the best of intentions. ObesityHelp.com is a major weight loss surgery forum for people in the United States and Canada. Obesity Help major drawback is the difficulty with navigating the site, as well as there being too many ads on the site. However, the resources section of their website is pretty extensive and thoroughly accurate. Other major sections include the ability to locate and consult with bariatric surgeons in your area. Obesity Help has an entire section devoted to weight loss surgery articles, guides, and news. This section has a lot of content, and the authors seem to be genuinely interested in weight loss surgery (and not just article writers). Obesity Help’s community is pretty large and is active not just online but offline too. They frequently have obesity-related seminars, for members to meet and greet offline. 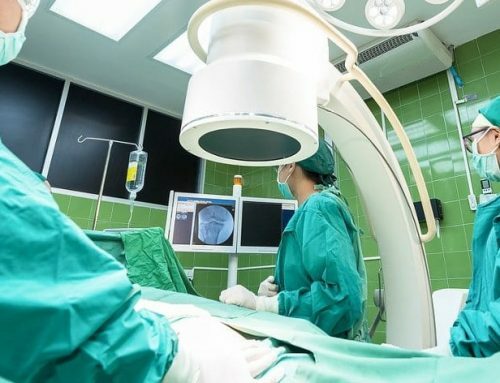 WLSurgery.com is a weight loss surgery forum dedicated to gastric sleeve (VSG), gastric banding (lap band), and gastric bypass (RNY). WLSurgery is a fairly simple site, with the site being the forum. Although bigger forums like Bariatric Pal have about 10 times more users, the community on WLSurgery seem to be tighter and more focused. WLSurgery has only two ads, which seem to be nowhere near the main content. WLSurgery has a decent community size, the forum lacks ownership and a strong moderator team. Be prepared to come across posts that are irrelevant to weight loss surgery and possible spam. GastricSleeve.com is a weight loss surgery forum dedicated specifically to vertical sleeve gastrectomy (VSG) or gastric sleeve surgery. Gastric Sleeve is a unique forum, for its navigation dedicated to the forums and it’s relatively low ads on site. 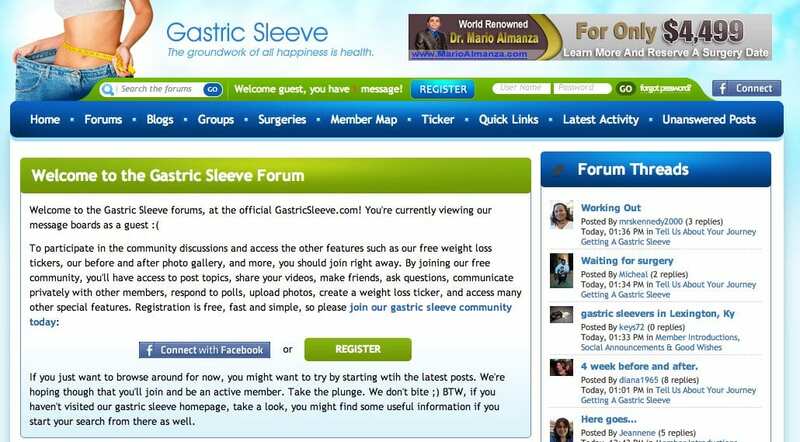 The community of GastricSleeve.com is quite large but seems to be somewhat dated. As in, the community was bigger but many members left for other forums. Although not thoroughly engaging, the community is large enough to answer any questions you may have. 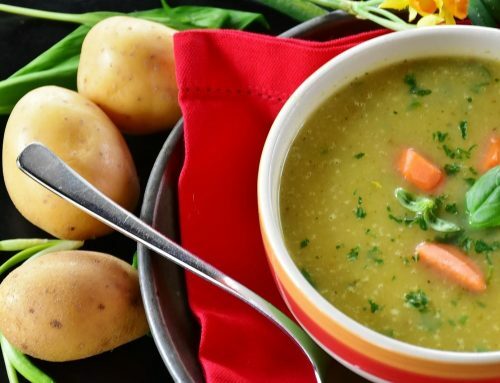 Even though the GastricSleeve.com homepage looks messy and unfocused, the site is well designed and has only a few ads on the site. We found no problems with the ethics of GastricSleeve.com, however, there seems to be a lack of community moderators which could be an issue. BariatricPal.com is the new community founded by the same people who own the former LapBandTalk.com, RNYTalk.com, VerticalSleeveTalk.com. Bariatric Pal, has since merged and combined all their forums into one big community. What’s new, other than the faster loading design and website, is the aggressive addition of ads. If you sign up, get ready to receive offers by e-mail, see offers all over each page and see offers in the body of the forum. They are aggressively incorporating ads from Mexico, into their own forum. So instead of seeing thoughtful and engaging content, you’re seeing special offers in Mexico. Even though there is a lot of ads, there also is a lot of forum members. The community is quite large, but that is not necessarily a good thing. The content on the forum, because of its size can lead to a lot of extraneous and superfluous forums. We’ve also in the past, heard them banning members who have something to say against companies which advertise with them (talk about objective). The community does seem ethical, except for possible sending our too many e-mails and have too many advertisers. This seems to be counter-intuitive – especially when we’re talking about something as serious as bariatric surgery. There seems to be way too many on the site, in fact, I’ve counted over 13 ads on the site – which does not include the possibility of selling e-mails or doing newsletter promotions. 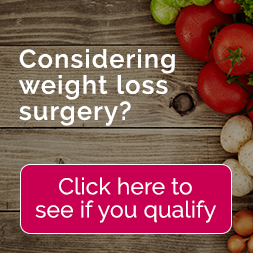 Other weight loss surgery forums have significantly fewer ads – some even have no ads. I’m all for capitalism as much as the next guy, but there are limits and reason. Since they merged the forums from Vertical Sleeve Talk, RNY Talk, LapBand and REALIZE Band Talk they have a ton of content, which is good. However their lack of authoritative content – seems to be a hindrance. 3FatChicks.com is a very popular weight loss community and article site, which has since been purchased by another company. Their forum is extremely popular, albeit related to all facets of weight loss. Including, dieting, exercising and other things which may not be related to bariatric surgery. Content on 3 Fat Chicks is definitely lacking. 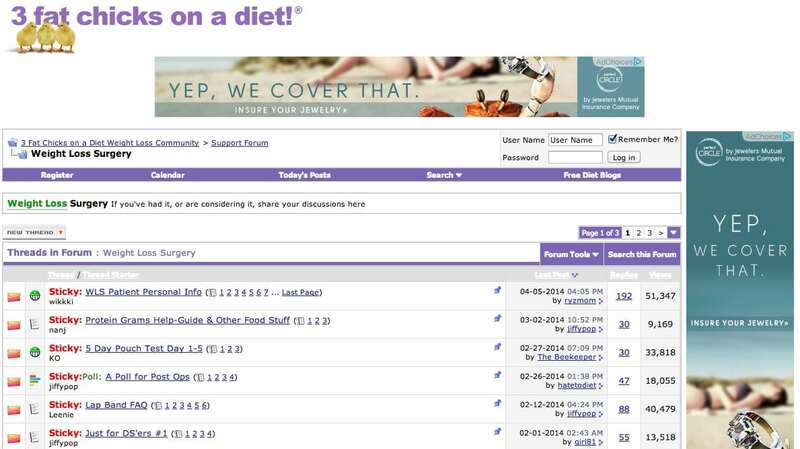 There is only one forum for the entire topic of weight loss surgery. For anybody looking to register with a weight loss surgery forum for support and information, 3 Fat Chicks is clearly not a good choice. The community on 3 Fat Chicks is large, but there are only a few members that post in the particular ‘weight loss surgery forum.’ For people needing real support or answers, will find other forums like Obesity Help more suitable.